Royce Armstrong, Grand Champion. Photo by Ed Simon for The Los Angeles Beat. Royce Armstrong, 1st place ribs, I'll be good 2 u BBQ. Photo by Ed Simon for The Los Angeles Beat. 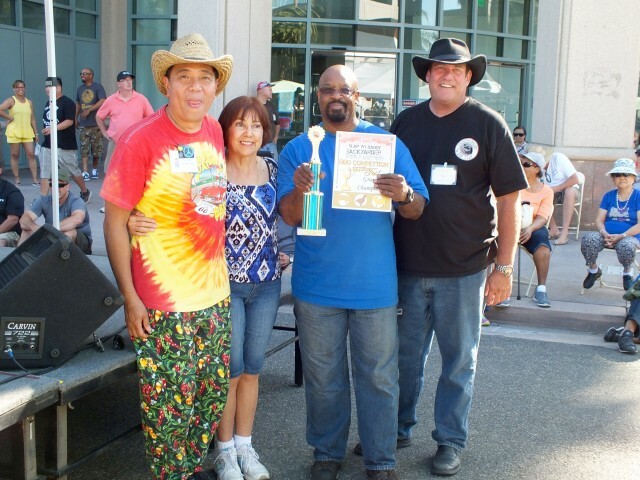 Shaun Guyot 1st place ribs, Creole Bros. BBQ. Photo by Ed Simon for The Los Angeles Beat.